Early-morning sessions under the light of the garage have helped make Hailey Van Lith one of the best ball handlers around. Hailey Van Lith can hardly see. It's dark when she steps outside of her home in Wenatchee, Washington. Clutching her basketball on one hip, she walks toward her garage and waves her other arm and picks up another ball. A light turns on. Except it's just Van Lith, sitting low in triple threat, pounding two basketballs at once. She alternates the two, dribbling harder and bending lower, as her father, Corey, walks in. He drops into a triple-threat stance and faces her, throwing a tennis ball toward one of her hands. She catches the tennis ball with ease and throws it back to him before both basketballs bounce back up -- completing the challenging task in less than a second. Catch. Throw. Dribble. Hailey doesn't look down, doesn't drop any ball, even as she manages combo moves, like her favorite from Kyrie Irving: between the legs, behind the back, crossover. No matter how much her arms, hands and fingertips burn, she doesn't stop. Hailey Van Lith says she can get a little feisty in games. "I've been doing this about 40, 45 years and Hailey is the best ball handler I've ever seen," said Steve Klees, Van Lith's club coach on the Northwest Blazers. That's high praise coming from Klees, who has coached Jamie Weisner (former Pac-12 Player of the Year at Oregon State) and current Stanford guard Brittany McPhee (she's leading the Cardinal in scoring). "Hailey works out three hours a day, six days a week," Klees said. "I've never seen anybody like Hailey. I just haven't." Van Lith is the No. 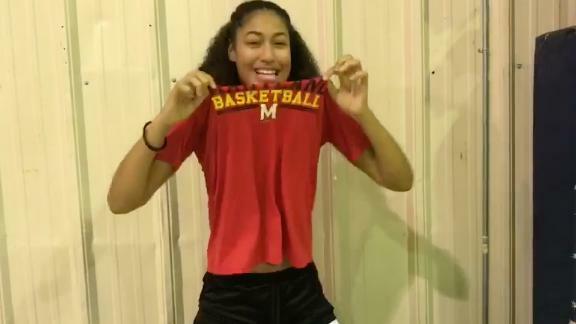 5 player ranked in the espnW HoopGurlz Terrific 25 for the 2020 class (and the No. 2-ranked player at her position). 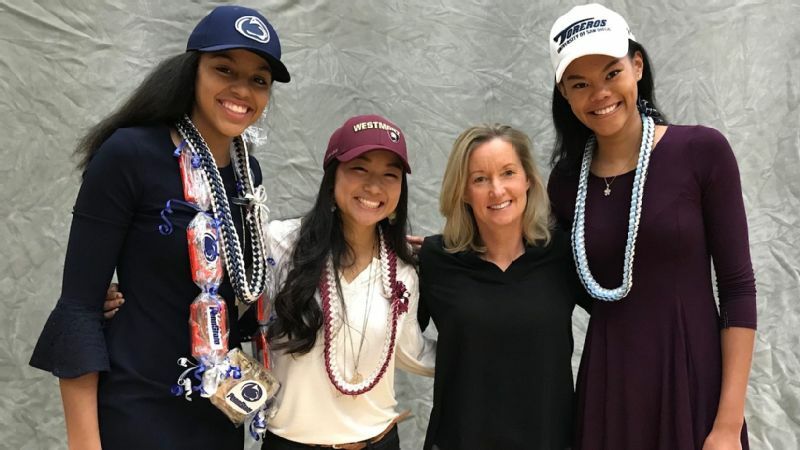 The 5-foot-7 point guard for Cashmere High School has her pick of the nation's top Division I programs, including Connecticut. 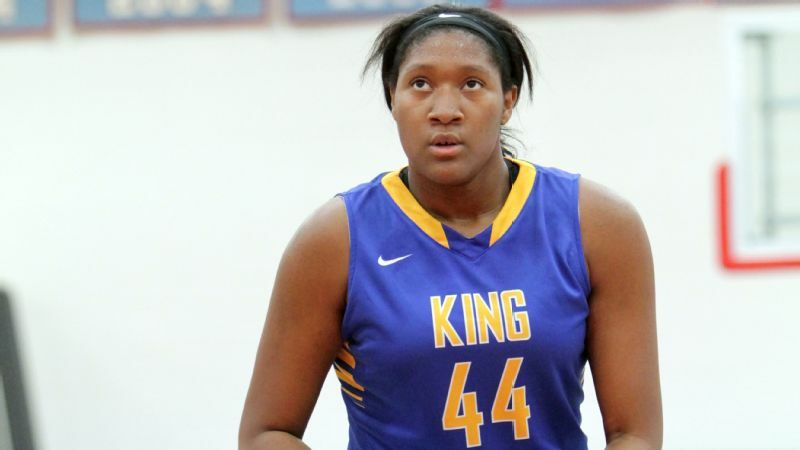 She's long idolized Huskies royalty: Maya Moore, Diana Taurasi, Sue Bird and Breanna Stewart. Like those women, she's at her best in the open court. The lefty can break down defenders and get to the rim with two dribbles. She can dish and kick. She's a lock-down defender. She can now knock down the open jumper (she worked hard at increasing her range on the AAU circuit this past summer). But the No. 1 thing she brings? "I'm a little feisty in games," Van Lith said. A little? Van Lith hustles like she's a second-stringer with zero offers. She dives on the hardwood for a loose ball even if it's obvious it will sail out of bounds before she can get there. 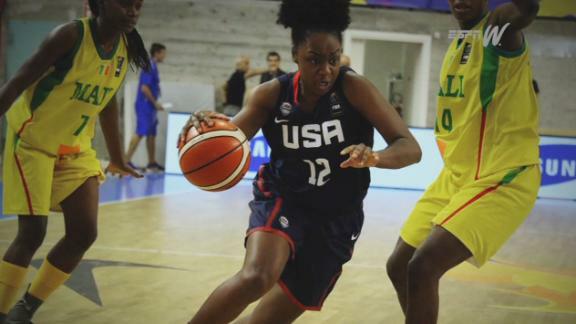 She makes opponents fight for every bucket. Sometimes she gets so jazzed up during games, so emotional, that she hyperventilates. "I've never seen a player try as hard on every single possession, almost to a fault," Klees said. "She moves 100 miles an hour." 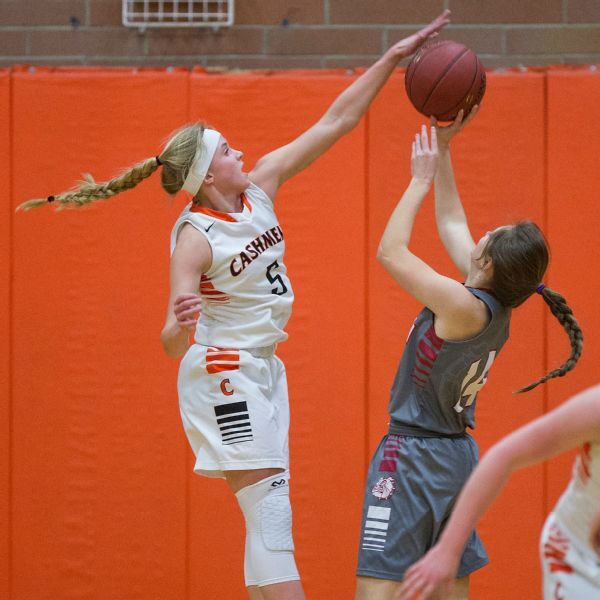 During Cashmere's first game this season against Ellensburg, Van Lith hounded the opposing point guard from the opening tip, finishing with eight steals (to go along with 27 points, nine assists and five rebounds). The second game, another win, she had 33 points --19 in the first quarter alone. "I love hyping my teammates up. I love a loud gym and huge crowd," Van Lith said. "I live for big games." 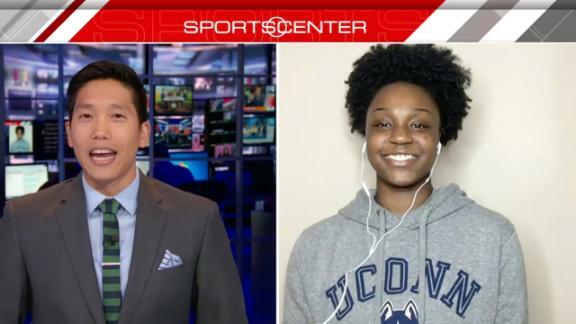 Is Baylor or UConn No. 1 in recruiting? Corey, who played basketball (and baseball) at University of Puget Sound in Tacoma from 1994 to 1997, knew his daughter had a different type of energy before she was even 2 years old. "She wasn't normal," said Corey, who began training his daughter and teaching her the fundamentals before grade school. "I could tell by the way she ran and moved and reacted to things, physically. She found a drive and a desire early on. You can't teach it." Van Lith wove through the cones in dribbling drills with the grace of a ballerina during older brother Tanner's AAU practices. She was a first-grader among fourth-grade boys, but she held her own. She played up against girls, too, becoming the first eighth-grader (and ninth-grader) to play for the Blazers' top team. 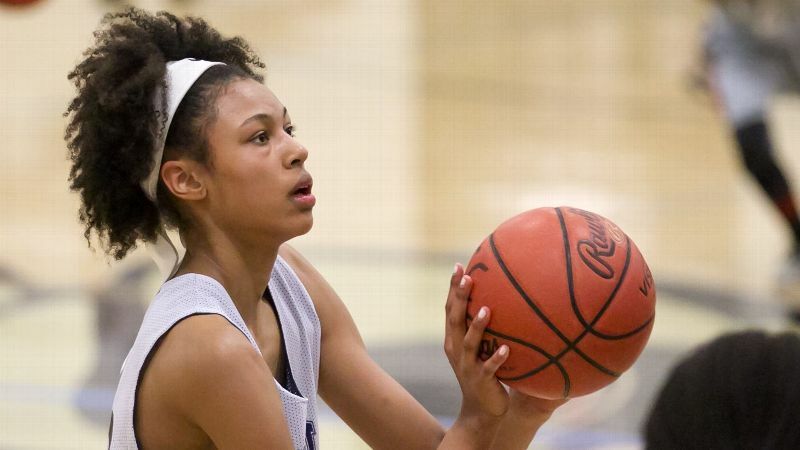 Both her eighth- and ninth-grade years, Van Lith started in the national championship game at Adidas Nationals, playing in the top high school bracket in Atlanta. She was named an Adidas All-American both years. 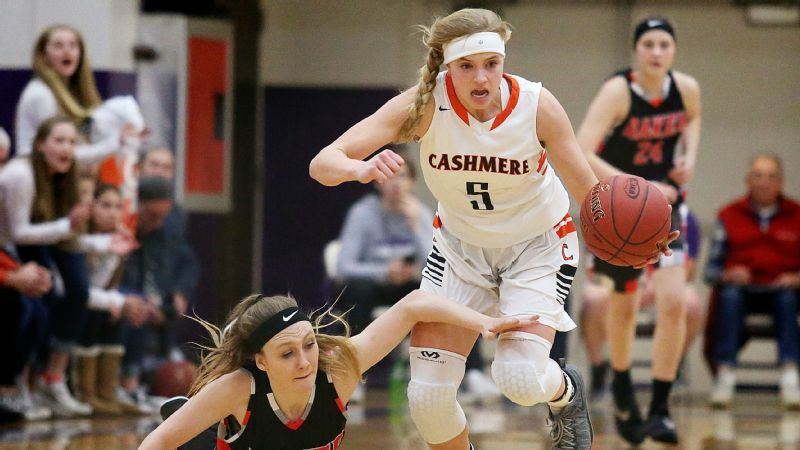 She averaged 24.3 points, 6.5 rebounds, 4.3 assists, 3.8 steals per game last season as a freshman for Cashmere, helping her team reach the state Class 1A title game. The team lost to Mount Baker in a gut-wrenching 45-44 loss, despite Van Lith's 18 points, 12 rebounds, seven steals and four assists. This season, with five seniors gone, including three starters, Cashmere is relying on Van Lith more than ever. "We're fairly young and inexperienced. This will be a big year for me to step up my leadership and become a more outspoken leader," Van Lith said. "[Losing in state] was a very devastating experience for me," she said. "I'm really hungry to get back there and show everyone that we can do it."